We’ve taken our best toilet and made it even better! Our single flush SummitTM toilets now feature the easy-to-clean PuraCleanTM glaze, improved styling including a decorative metal trip lever and an extended warranty. 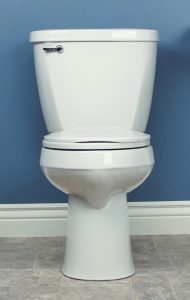 Made in the USA, the stylish Summit toilets can be used in both residential and commercial projects. A video showcasing enhanced Summit products can be found at https://youtu.be/SU6Vo5r6hmc.